1. Compatible with: Asus ZenPad Z8 / Z8S Tablet. 3. Length: 5FT, Convenient to Charging Your Device at Home/Office etc., Easy to Carry It with You. 4. Guarantee: Up to 1 Year Warranty Period. Quick Charging Mode, The Charger Head May Become A Bit Warmed-up, This Is Normal Phenomenon. TPLtech Focus on the Charger Producing & Development for Several Years.Would Highly Appreciate all Customers' Opinions to Improve the Selling. Input: 100V - 240V. Output: DC 5V, 2000mA Max. Certifications: CE/FCC/RoHS Certified. All of Our Wall Chargers Produced According to the Standard. Build in Dynamic IC, Charger IC & Power Fuse for Rapidly Charging and Over Charge Protection. 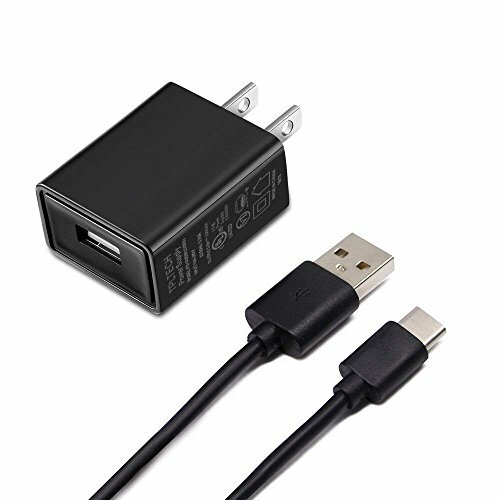 Replacement High Quality AC Wall Charger.